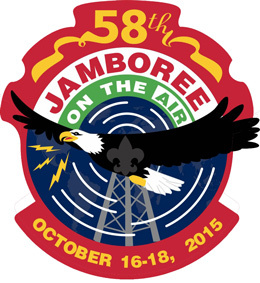 Jamboree on the Air (JOTA) and Jamboree on the Internet (JOTI) is an annual Scouting event that uses amateur radio to connect Scouts around the world, across the nation, and in your community. 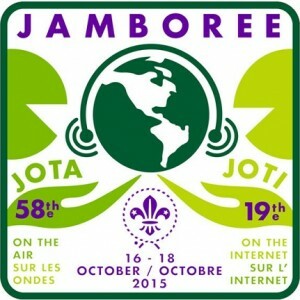 More than 750,000 Scouts in 100 countries participate in JOTA / JOTI each year – its Scouting’s largest worldwide event. The event is free and open to all Cub Scouts, Boy Scouts, Venturers and leaders during the weekend of October 16 – 17. Some stations may have limited operations in the morning of October 18 – check with the operators before visiting. Discover how radio waves can travel worldwide for free without a subscription plan or landline connection to talk with Scouts and Guides all around the world using advanced radio gear. Scouts and Scouters of all ages welcomed. Registration encouraged to assist with planning. A donation of $5 per Scout will cover merit badge resources and a pizza lunch. Station K5C will be operated at the Wesley United Methodist Church, 302 E Independence, Shawnee, OK Contact Gary Way (AE5OF) at kf5cky@yahoo.com for information, time and date(s). Amateur Radio Talk with scouts around the world. Skype See who you are talking too during your contact. A limited number of stations will have Skype connections for video and possibly other TV technologies for transmission. Station WB5BSA will be at John Nichols Scout Ranch.. Contact John Dronberger (N5YZA) at N5YZA1@gmail.com for information, time and date(s). Fox-Hunt Play with radio detection / direction-finding gear. Find our electronic fox – a 21st century electronic Easter egg hunt. Station WX5BSA/portable will operate from the Valle area in New Mexico. Station will be setup between Ring ranch & Whiteman Vega – two sites used by Philmont during the summer months. Will be active on Friday night October 18 and some during the evening Saturday, October 19. Bands 80/40/20/15 phone. Station trustee is Gary Woodrow KA5BSA (gwoodrow@cableone.net).